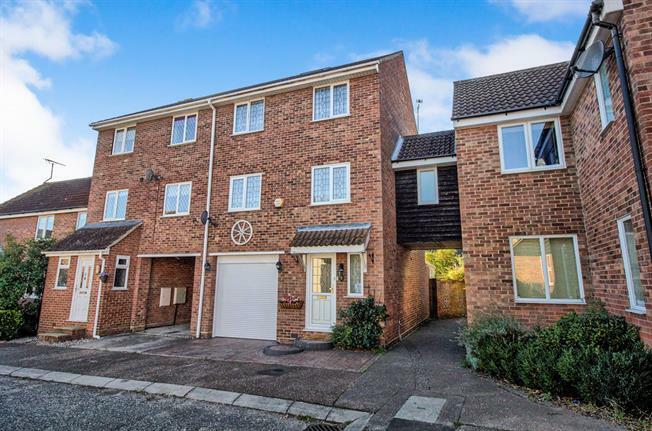 4 Bedroom End of Terrace House For Sale in Chelmsford for Fixed Price £325,000. FEATURED IN THE BIG OPEN HOUSE. Please call to arrange an appointment. GUIDE PRICE 325,000 - 350,000. This four bedroom town house benefits from accommodation spread over three floors. The ground floor includes a WC, a spacious kitchen breakfast room and a conservatory, whilst the first floor is home to the large lounge and dining room, and a bedroom with the top floor housing three further bedrooms and a bathroom. The property benefits from off street parking and a garage to the front.